Preparing a large quantity of this Easy Vegetable Veal Stew on the weekend ensures a healthy meal and relatively stress free weekday supper. It has often been said that humans are creatures of habit. In reality, habits are created to help us through our day, especially the weekday. 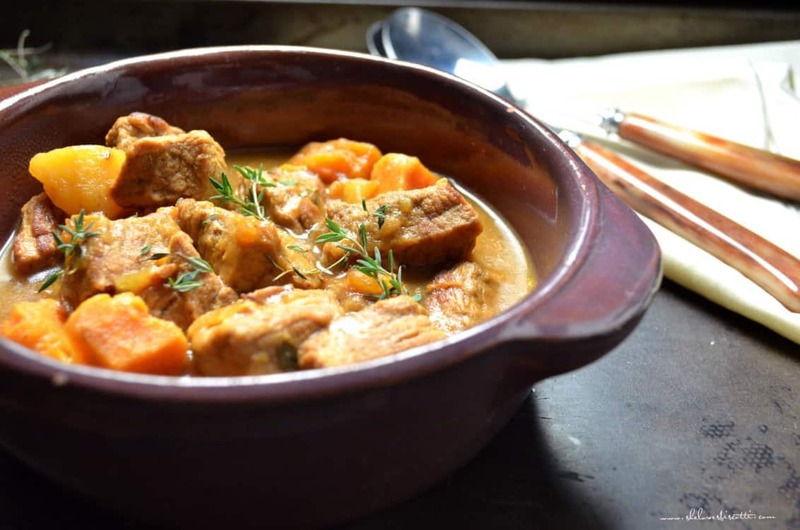 One habit I have maintained for the past couple of decades is to plan and prep my meals for the week, on the week-end, and this veal stew recipe is a perfect one for doing just that! 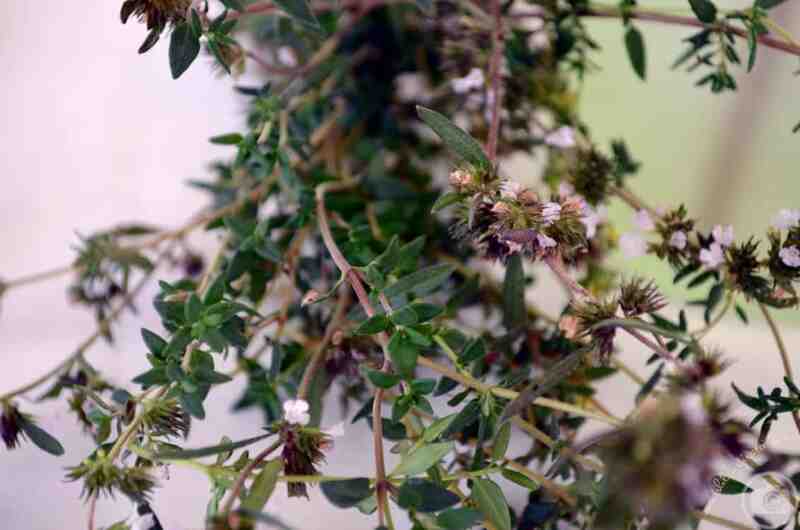 This recipe is also ideal for the busy lifestyle everyone has. This effort on my part ensures healthy meals and relatively stress-free supper preparation, so that when the famished troops walk through the door, supper is coming out of the oven instead of a take out bag. During the fall and winter months, I always make a large quantity of this Easy Vegetable Veal Stew. Served with noodles, this is a great week day supper and leftovers are convenient for lunches. Not too too long ago, there was no internet. Remember what that was like? No food blogs, no e-cookbooks, no foodnetwork.com. Recipes were found in magazines and cookbooks and (my personal weekly source of inspiration) the Wednesday Food Section of the Montreal Gazette. 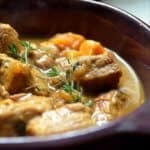 That’s where I found this easy veal stew recipe -about fifteen years ago! Nowadays, I still consult the FOOD section of the Montreal Gazette. The only difference is how convenient it’s become to get a hold of – I just need to jump online. See it for yourself how great it is. Another one of my go-to recipes, especially in the fall and winter is this Easy White Bean Soup. And guess what? I also found it in the Food Section of the Gazette! Hope you have fun preparing these meals on the week-end… and have fun surfing! On medium-high heat, heat 1 tablespoon of olive oil in a medium pot. Add sliced onions and cook until onions begin to soften. Stir occasionally for approximately 10 minutes. While onions are cooking, cube veal into 1 inch pieces. Remove cooked onions from pot and place in a bowl. Add 2 tablespoons of olive oil in pot. Heat for one minute. Add cubed veal pieces and brown evenly. Add the white wine while scraping the bottom of the pot. Add chicken broth, bay leaf, thyme, salt, pepper and cooked onions. Cover slightly and simmer gently for about 45 minutes on medium heat. Add potato cubes and cook for another 10 minutes or until almost done. Add sweet potato cubes and sliced carrots and cook for 5 minutes or until done. Add frozen peas a few minutes before serving. If you are planning to eat the stew the same day it is prepared, go ahead and add the peas just a few minutes before serving. I add a handful of frozen peas when I reheat the stew, just before serving. LOVE THIS VEAL STEW RECIPE? PIN IT TO YOUR MAIN MEAL BOARD! Flavor-wise this recipe was very good. I loved that it was with veal instead of beef. I added some chili powder as an additional spice and supplemented the tyme with oregano. However, I wish it mentioned that the potatoes and carrots should have already been cooked before adding it at the end. I follow recipes pretty closely to what it says when I first cook it. Hi Michele, I am glad you enjoyed the veal stew. I do not cook my vegetables before adding to the stew. The cubes are small enough that they cook rather quickly. I will update the recipe card to indicate the size of the cube. If a larger cut of vegetable is desired, it can be adding to the stew earlier. Appreciate you taking the time to comment. Have a wonderful evening. We do meal prep for the week every Saturday as well! It makes us buy just what we need for the week, with no waste, money saved and especially time. For my parents in Italy, the few times they have meat, it is only veal. When in Canada, though, I hardly see anybody buying it or cooking it. Your stew looks terrific. So hearty and tasty. You can’t beat stews at this time of year, and this one looks absolutely delicious. I love that you included sweet potatoes. Yum! … I’m really bad at meal prep. I try, I do! And I do well for a couple of weeks, but then someone invites me out to dinner on a weekend and my whole routine just disappears. And I find it so difficult to get back into it. That said! This is the perfect meal for it. It’s right down my alley, and I may give it a try this weekend! Maria! You are a girl after my own heart with this recipe! 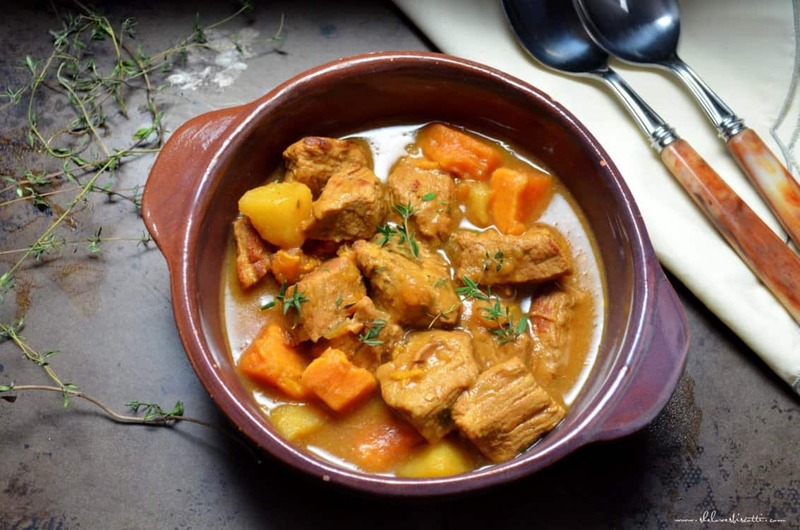 You don’t often see warming winter stews made with veal! Veal is such a treat and offers a unique flavour to the right dishes. I love your addition of sweet potatoes! What a fun spin. Wow, was that ever good!